Each new member receives a red name badge. After completing a series of new member tasks designed to help them fully participate in the activities of the club, they receive a blue name badge. 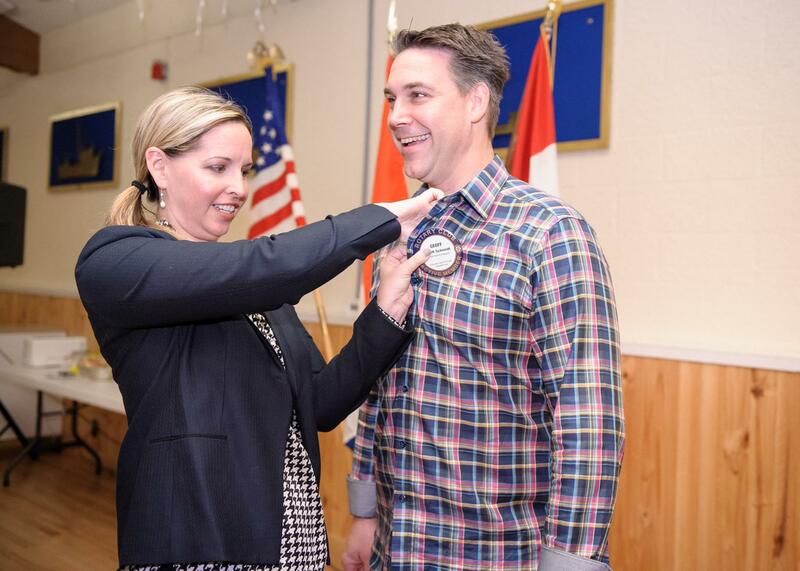 Geoff Schmidt receives his Blue Badge from wife (and fellow Rotarian) Amy Sanford-Schmidt.